Sonneveld House Dining room. 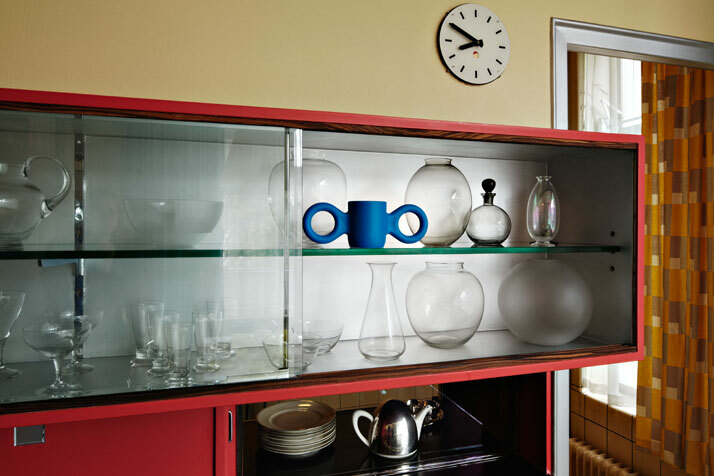 Cupboard with glassware by design of A. D. Copier, and a ‘Domoor’ mug designed by Richard Hutten. 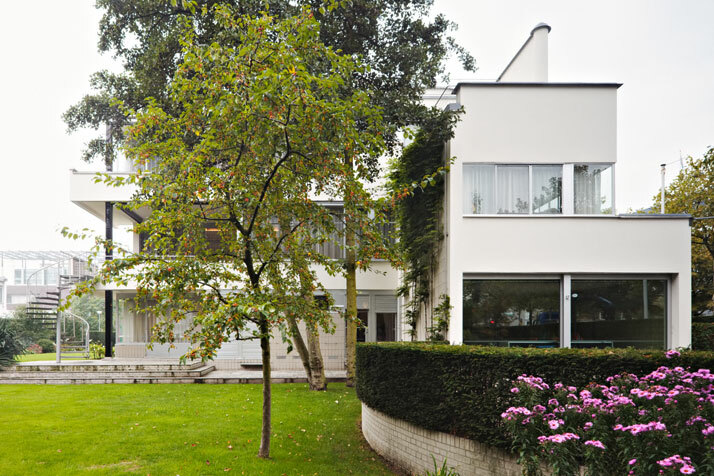 Standing at the corner of a picturesque boulevard right in the heart of Rotterdam’s Museum Park, the Sonneveld House is one of the best-preserved examples of modern architecture (Nieuwe Bouwen). 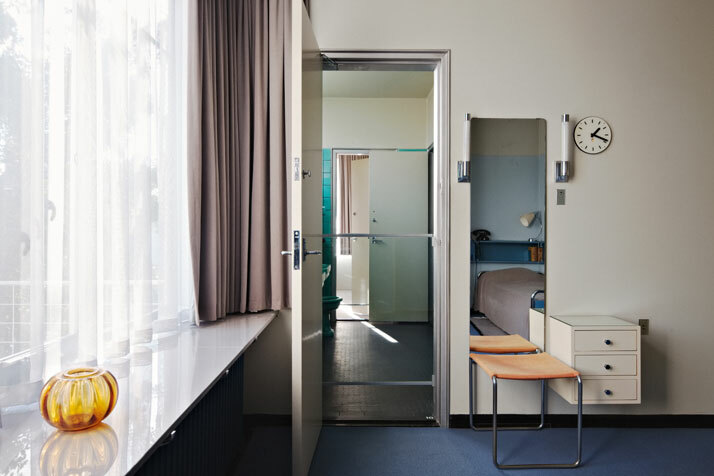 The Netherlands’ New Institute, which now runs the house as a museum, has meticulously preserved the building and its interiors in their original state, thus turning the house into a pristine time-capsule of cutting-edge 1930’s design. Yet the Institute wanted to demonstrate that Sonneveld House and the era it represents still have a place in contemporary design. 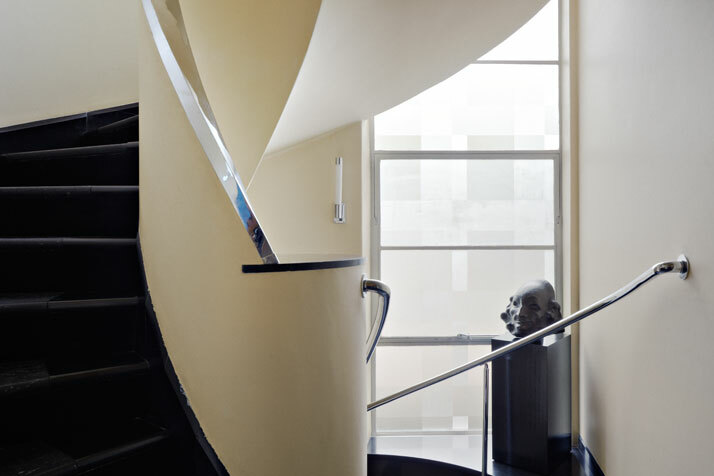 And for that reason it invited designer Richard Hutten, a leading figure of Dutch design for over two decades, to respond to the house’s design by means of his own practice. Sonneveld House, J.A. Brinkman and L.C. van der Vlugt, Rotterdam, 1929-1933. 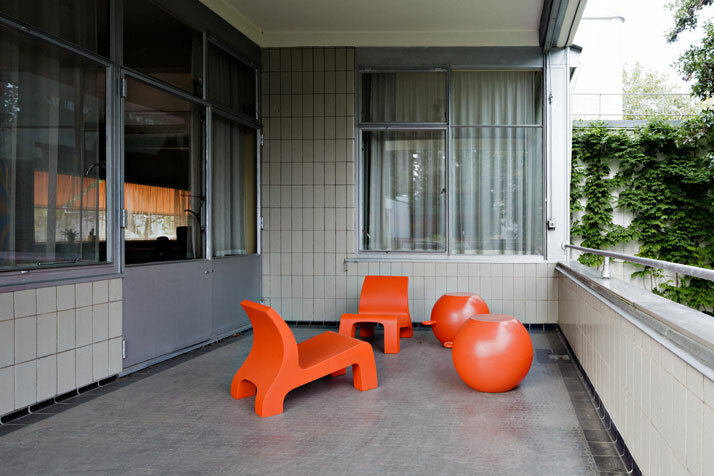 Sonneveld House Balcony, with ‘Rhino’ chairs and objects designed by Richard Hutten. Bedroom Sonneveld House, J.A. Brinkman and L.C. van der Vlugt, Rotterdam, 1929-1933. As a guest curator, and being respectful to the house’s character and historic identity, Richard Hutten has placed some of his design objects and furniture amongst the existing collection. Some interventions are very subtle, making it almost impossible to tell the difference between the old and the new. Others are more tongue-in-cheek, like, for example, Hutten’s famous Domoor children’s cup standing in a vitrine full of 1930’s invaluable glassware. Other interventions include furnishing the veranda with garden furniture made of bright orange plastic, and installing Hutton’s 1996 ''3 minus 1'' desk in the living room. 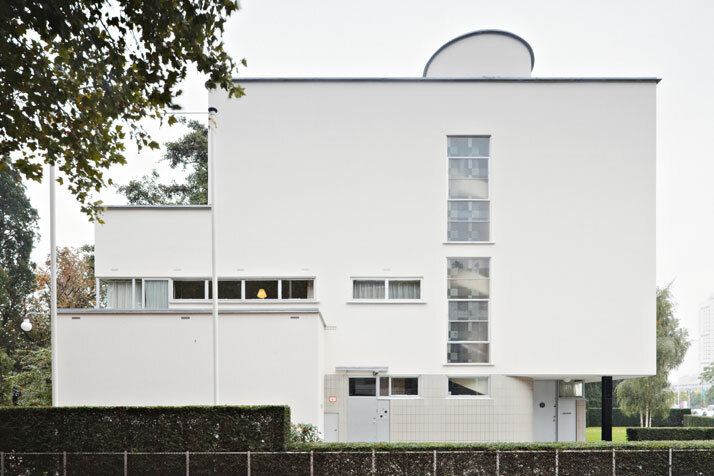 The exhibition ‘‘Richard Hutten in the Sonneveld House’’ will be open from 17 November 2013 until 11 May 2014, at The Sonneveld House, Rotterdam, The Netherlands. Apart from Richard Hutten’s interventions, the exhibition marks the introduction of new items to the house’s collection, such as personal belongings of the Sonneveld family, on loan from the National Glass Museum in Leerdam, and a rare pressed-glass breakfast set designed by Piet Zwart and H.P. Berlage. 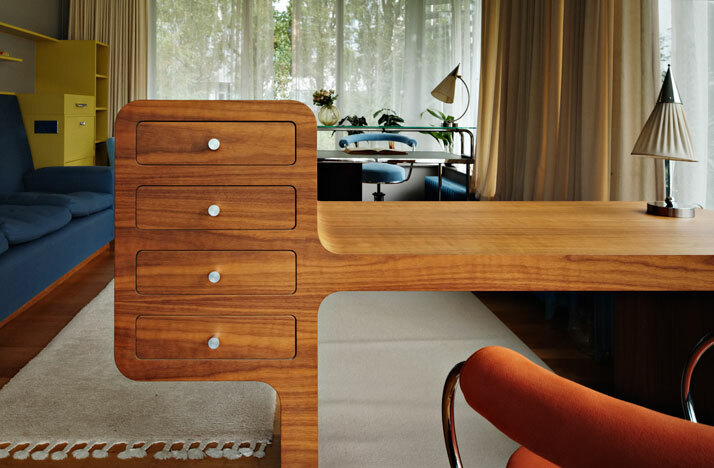 Sonneveld House Studio with ‘3 minus 1 Bureau’ by design of Richard Hutten. Hallway Sonneveld House, J.A. Brinkman and L.C. van der Vlugt, Rotterdam, 1929-1933. 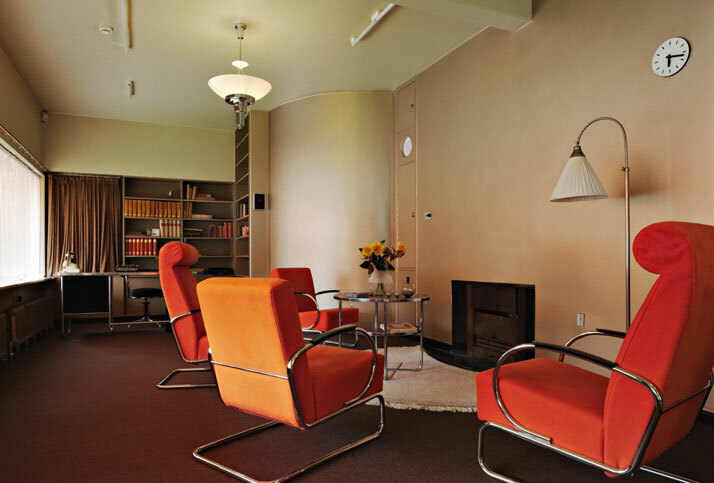 Library Sonneveld House, J.A. Brinkman and L.C. van der Vlugt, Rotterdam, 1929-1933.